Our team isn’t just interested in providing patients with cold, uniform dental care and sending them off with a pat on the back – we want to be your dental care family for years to come! 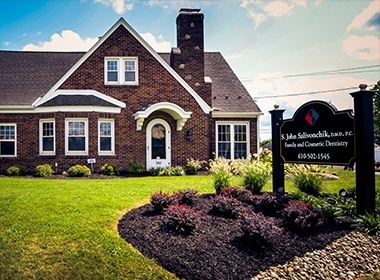 Allentown dentist, Dr. S. John Salivonchik, believes strongly in building warm, trusting relationships with his patients, and his dedicated staff couldn’t agree more. 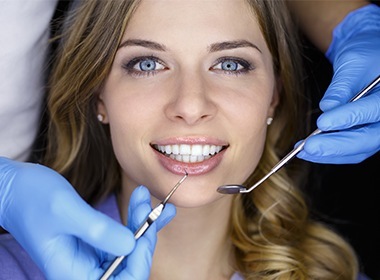 That’s why we offer patients from Allentown and beyond a wide menu of services, from simple general dentistry to more complex cosmetic and restorative treatments that are guaranteed to help patients feel proud of their smile. With the additional help of our state-of-the-art tools, you’ll be completely comfortable and satisfied every time you visit our practice! Learn more about our services here. When it comes to taking care of your teeth and gums, prevention is key – after all, wouldn’t it be easier to take care of problems when they’re still small? 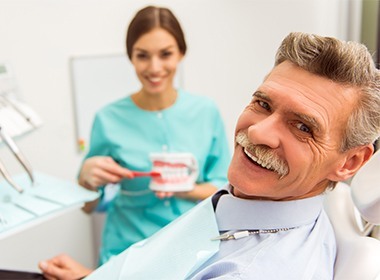 That’s why Allentown dentist Dr. Salivonchik and his team work hard to help patients from all walks of life maintain smiles that are both happy and healthy with general dentistry services. 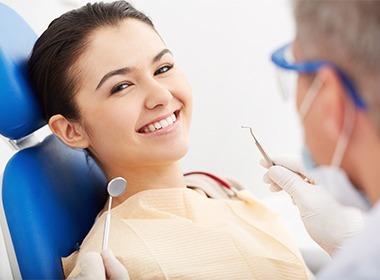 Attending check-ups and cleanings every six months is certainly important; this way, we can keep an eye out for any sneaky decay or damage and treat the areas in question accordingly. We’ll also look for common oral problems such as periodontal disease and oral cancer, both of which often go undetected until their most advanced, destructive stages. Your chances of undergoing successful treatment increase significantly when these conditions are caught early on! Additionally, Dr. Salivonchik can halt any painful damage caused by bruxism or TMJ disorder with the help of a custom-made oral appliance. We want to help you experience the perfectly comfortable and functional smile you deserve! 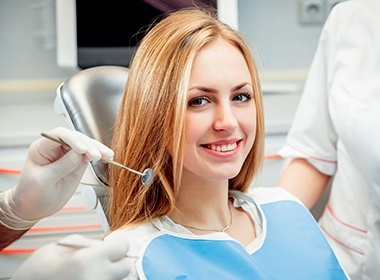 If you’re in need of several treatments, Dr. Salivonchik can also device a full-mouth reconstruction plan to ensure that you receive care that best fits your unique needs, schedule, and budget.